There was a time when artificial intelligence used to be a creepy concept limited to sci-fi movies where the robots go bad and eliminate the human race before taking over the world. The usage of Artificial Intelligence today is spreading far and wide and numerous companies have already invested in acquiring AI and adopting them in their processes. Be it medical diagnosis, data extrapolation or powering autonomous machines, results driven by AI are faster, cheaper and more accurate. A Forrester research predicted that in 2017 there will be more than a 300% increase in investments in AI by various enterprises than in 2016. Natural Language processing: Using computer data to produce texts, this application of AI is being used is customer service to answer queries, making reports, and summarizing insights. Automated Insights, Narrative Science, Cambridge Semantics and Digital Reasoning are major vendors of this application. Speech Recognition: Speech recognition involves a machine’s understanding, transcribing and transforming human speech to a useful format for application to process. It may sound easy but it’s totally opposite of that as it requires the computer to hear and understand thousands of styles of speech, accents and dialects. It’s currently employed in real-time interactive voice tools and response systems, plus mobile applications like Siri. Virtual Agent: The current talk of the town virtual agents include chat bots and advanced systems which network with humans. Virtual agents are being used in customer support and as smart home devices like Alexa. Almost all big companies like Amazon, Google, Apple, IBM and Microsoft are making use of this application of AI. Machine Learning: With a focus on writing software that can learn from its past experience, this process involves sharing algorithms and APIs, creating and refining toolkits, along with processing power to develop, train and install models into processes, application and other devices. Machine learning is used in a lot of applications for prediction or classification by extracting knowledge from data which is being used by companies like Google, Amazon, Fractal Analytics and Microsoft. Hardware with AI: These are systems like GPUs which are designed for the purpose of efficiently running specialized AI related processing jobs. It is making a huge difference in deep learning applications predominantly used by Google, NVidia, Intel, IBM, and Alluviate. Nvidia, for example, is using deep learning in AI in their hi-tech autonomous cars which will be fully run on their supercomputers and will participate in races where the winning car is determined by the power of its AI. Biometrics: Biometrics enable a more human-like interaction between machine and people which includes but isn’t limited to touch and image recognition, body language, and speech. The technology is already in use in China in the form of facial recognition for entering business and private enterprise buildings along with verifying taxi driver faces for companies like Uber. Decision Management: This incorporates engines giving logic and rules to AI computers and using it for initial training and constant maintenance. An advanced technology, it’s used for a wide range of enterprise applications, supporting or carrying out decision-making automatically. Deep Learning Platforms: A distinct style of machine learning which consists of simulated neural networks with numerous abstraction layers. Presently it’s employed in pattern detection plus classification applications sustained by massive data sets. Companies like Deep Instinct, Fluid AI, Ersatz Labs, MathWorks, and Peltarion are implementing deep learning platforms. 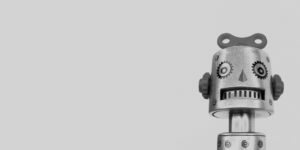 Robotic Process Automation: This is done through the use of scripts and similar methods which help automate human work and enable faster processes. These are already replacing humans where it’s inefficient and expensive to employ people to finish a task. Some companies that own the technology are Advanced Systems Concepts, Blue Prism, and Automation Anywhere. Text Analytics: NLP or Natural language processing make use of and enhances text analytics by enabling the comprehension of sentence construction and meaning, emotion, and intent through machine learning and statistical methods. At this time it’s being used in fraud recognition and security, in an extensive collection of automated assistants, and software for mining unstructured data. Although as of now our computers have not gotten the sentience required along with the hordes of data on how to be an evil human overlord, experts do speculate as to how long it will take for AI to reach the intelligence equal to that of humans. Whereas today our AI-powered autonomous devices like construction vehicles are smart enough to decide which direction to go and where to dump the load, it’s not clever enough to intently dump its load on a person if they wanted to kill him. Computer scientist and director of engineering at Google Ray Kurzweil, however, believes that the year will be 2029 when AI will match or even surpass human intelligence and humans will merge their consciousness with the machines. As we wait for that to happen we are already seeing some mind-blowing applications of it which are set on changing the way we progress.